AboutAcura: [Rumor] TSX Couple and SH-AWD for next TL & TSX. Rumor floating around on Acura forums that it is has been confirmed by an Acura dealer that the next generation Acura TL & TSX will definitely have SH-AWD, however still questionable on a turbo TSX. 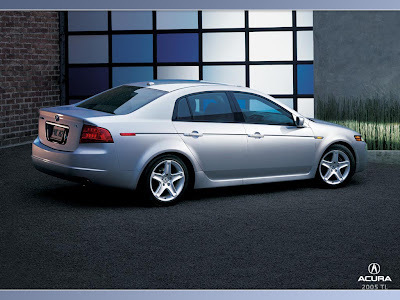 This will also coincide with the TL re-design (Fall 08) for 09 model year with AWD as definite and 3.5L and a mid-model re-design on the RL. Speculations about SH-AWD being a feature for all Acuras have been around since the introduction of the Acura RDX and redesigned MDX. Front wheel drive only cars won't cut it competing in the luxury segment, so SH-AWD in all their cars make sense. Although, there is a good portion of the Acura population that would like to see a rear wheel drive option, this is unlikely to happen, at least in 2009. Not everyone is excited about a turbo TSX because of the poor gas mileage seen in the RDX (19 city - 24 highway). The RDX's fuel economy may be due to it's size and weight, a turbo sedan makes more sense. Still, only time will tell if the next TSX will see Acura's new force induction technology, maybe only on the TSX Type-S? There are some people out there who would like a small naturally aspired V6 instead of a turbo 4 cylinder. Currently, there are no coupes in Acura's lineup ever since they dropped the NSX and RSX. A brand that pushes luxury performance vehicles, yet doesn't have a sports car to sell sounds kind of like an oxymoron. 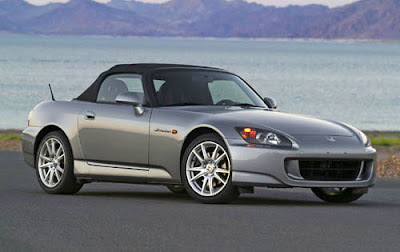 There also have been some rumors of how Honda is going to drop the Honda S2000 so that Acura can pick it up. Either way, Acura needs a coupe soon. i doubt the rsx is coming back. 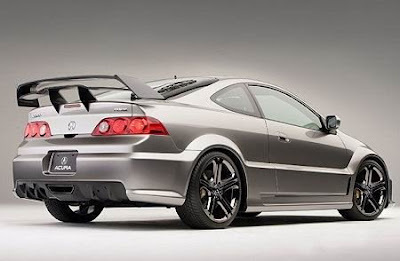 acura wants to move upscale and that is precisely why the rsx was canned. yeah, the rsx is probably not coming back. however, rumor has it, that there will be a coupe based on the tsx. Since Honda has said the SH-AWD will not find it's way to the Honda brand, it will be an Acura only feature, while Honda decides to "go green" (environmentally friendly). Since the RSX has been discontinued along with the 2door TL, the CL., Which Honda/Acura car do you think the red car is a concept of? Not the Civic , Accord, RSX (discontinued), S2000 or two door TL (formerly the CL), so what is this mystery car? The new TSX coupe, with SH-AWD and a turboed 4 cylinder engine, hence the name. Plus, Acura's turbo works very similarly to Honda/Acura's V-TEC in the engine.. It has two stages, one for conventional driving and good gas mileage. Plus an aggressive stage in the upper RPM's. If the TSX does come as a V6, it should come with a type-S version with a turboed V6..